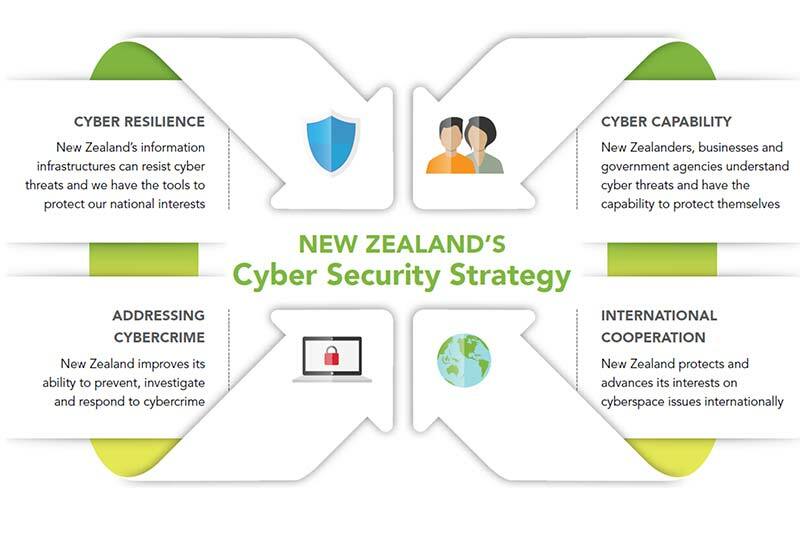 The New Zealand government has released its first Annual Report on the implementation of Cyber Security Strategy, Action Plan and National Plan to Address Cybercrime, launched in December 2015. CERT (Computer Emergency Response Team) NZ will be operational in the first half of 2017. New Zealand individuals, businesses and government agencies will be able to report cyber security incidents will be able to report cybersecurity incidents to CERT NZ, which will then ensure that the incident is dealt with by the most relevant organisation. CERT NZ will provide advice on preventing threats and mitigating cyber security incidents. It will also work closely with CERTs in other countries to prevent and respond to cyber security incidents. The government has allocated funding of NZ$ 22.2 million over four years to set up a national CERT. The CERT NZ Establishment Advisory Board was formed in August 2016, comprised of nine members from the private sector.In the interim, it will be established within the Ministry of Business, Innovation and Employment (MBIE). A project team is already in place and a Director has been appointed. The Government Communication Security Bureau’s (GCSB) National Cyber Security Centre is in the process of rolling out malware detection and disruption services to a select group of public and private sector organisations of national importance, while a review is underway of the classified list of organisations of national Importance. An independent quality assurance review of the CORTEX malware protection services project has been concluded, which found that CORTEX is well-run, achieving maturity scores not normally seen for government projects. GCSB is also running a pilot to test a Malware Free Networks initiative, working with a selected Internet Service Provider. GCSB is sharing cyber threat information and technology with the ISP to help it mitigate malware for a subset of its commercial customers. exercises, including with the private sector and international partners. Australia and New Zealand are also undertaking joint cyber exercises to ensure adequate response to a significant cyber incident affecting both nations, with the first joint exercise held in December 2016. Another trans-Tasman cyber exercise is planned for the second half of 2017 in addition to a major exercise within the national security system in December 2017. The government is conducting outreach via traditional as well as social media and high-level summits to ensure that businesses and government agencies understand cyber threats and have the capability to protect themselves. Briefings are also organised for senior executive and board-level for the corporate sector. The National Cyber Policy Office (NCPO) has developed a cyber credential prototype package of assessment, support and certification for small businesses and plans to finalise the design of a scaled-up cyber credentials package. The first annual report on system-wide capability and maturity in privacy and protective security of government agencies, based on self-assessments by 36 agencies (and 59 agencies in relation to privacy) was completed in June 2016, setting a new baseline for protective security and privacy maturity across government. government agency chief executives and board chairs are working towards their short term (12 month) and long term (three to five year) targets. The second round of self-assessments from agencies is due in March 2017. The GCSB’s National Cyber Security Centre (NCSC) shares best practices, advice on implementation of the New Zealand Information Security Manual, and information on the threat environment with government agencies on a regular basis. The NCSC has been leading a number of Security Information Exchanges (SIE’s) throughout the past year, for increasing cyber security awareness amongst critical national infrastructure and create trust-based sector sharing. The NCSC also provides assistance to companies for securing their ICS (industrial control systems) or SCADA (supervisory control and data acquisition)systems through its leadership of the Control Systems SIE. A Cyber Security Skills Taskforce, made up of industry, academic and education representatives, has been set up to develop cyber security skills in New Zealand. The Taskforce is developing a standard qualification for cybersecurity (level 6 Diploma in Cyber Security, listed on the New Zealand Qualifications Framework), working with industry to develop an internship programme for the second year of the Diploma course and developing a secondary school programme to position students for the Diploma. It is expected the level 6 qualification will be developed for Semester 2, 2017. A 6-year NZ$ 12.2 million cyber security project, funded by MBIE at the University of Waikato, called STRATUS (Security Technologies Returning Accountability, Trust and User-Centric Services in the cloud) is working on a suite of novel security tools, techniques and capabilities. The government intends to promote the availability of contestable science and innovation funds for cybersecurity research and develop a cybersecurity innovation plan. The Ministry of Justice will work on adapting New Zealand’s policy and legislative settings for the digital age. The Ministry of Justice and the Law Commission are expected to report to the Minister of Justice by the end of June 2017 with a joint review of the Search and Surveillance Act 2012. The review is considering whether law enforcement agencies should be able to require service providers to preserve specified computer data temporarily while a warrant or order to access that data is sought. The Harmful Digital Communications Act came into force in November 2016, providing for a civil enforcement regime, enabling victims to seek redress for harmful digital Communications, with the assistance of the approved agency, NetSafe, or through the District Court if needed. New Zealand is a part of regular Five Eyes cyber groups (United States National Security Agency (NSA), the United Kingdom’s Government Communications Headquarters(GCHQ), Canada’s Communications Security Establishment Canada (CSEC), the Australian Signals Directorate (ASD), and New Zealand’s GCSB). workshops,Singapore International Cyber Week, and relevant UN fora. The government is also involved in discussions with the US National Institute of Standards and Technology on cyber security workforce development, research and development initiatives, and cyber security credentials schemes. During 2017, the government will consider the requirements for accession to the Budapest Convention on cybercrime. NZ Police is considering participation in key international cybercrime units such as European Cybercrime Centre within Europol and International Cybercrime Coordination Cell within the FBI.